I recently stumbled upon this delicious blog, Cafe Johnsonia. Written by the talented and inspired Lindsey Johnson, this blog is brimming with scrumptious-ness! 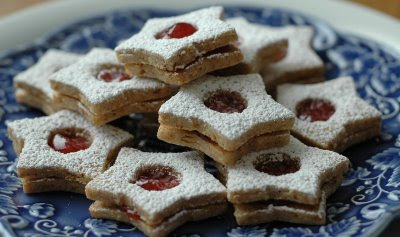 Just check out this recipe for Linzer Sable Cookies. I wish we lived in the same time zone! I would totally try to score an invitation to dinner at her house.